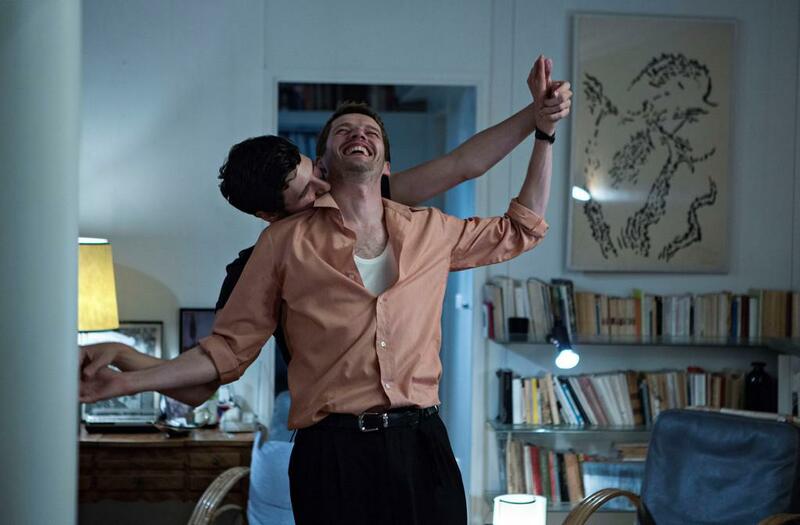 One of French director Christophe Honoré’s most personal forays into the world of love and friendship in the shadow of our own mortality, Sorry Angel examines gay male interactions and the consequences as well as the pleasures of sexual freedoms. Taking place in 1993 between Paris and Rennes (Honoré is from the Brittany capital) the film focuses on two men at the heart of the narrative who are poles apart on the surface. Jacques (Pierre Deladonchamps) is a 35-year-old writer who has AIDS and living in Paris with close friend and neighbour Mathieu (Denis Podalydès). Vincent Lacoste, with all the eagerness of an energetic puppy, plays Arthur, a 22-year-old student from Rennes exploring his sexuality with both his girlfriend Nadine (Adèle Wishes) as well as succession of partners he discovers at gay cruising spots. They meet when Jacques turns up in Rennes to supervise the production of a new play. It is all wrapped up in long-running conversations, a soundtrack of Gallic pop and cigarette smoke.